Who wants a 2K smartphone? 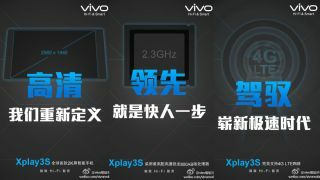 You may not of heard of Chinese smartphone manufacturer Vivo, but the firm is making waves in the mobile space with the announcement of its latest device, the Vivo Xplay3S. That may not be the most exciting name for a phone, but the Xplay3S has one standout feature - a 2K display. A world first on a smartphone. We're currently enjoying full HD displays on our mobiles, with the likes of the Samsung Galaxy S4 featuring an eye popping 1080 x 1920 5-inch display - but Vivo is taking things a step further offering up a screen resolution of 1440 x 2560. It's unclear what advantage a 2K display will bring to smartphones, and whether they'll actually provide a noticeably better experience than the current crop of full HD screens. The size of screen on the Xplay3S is unknown, but it's assumed it will be erring on the phablet side of things - so expect something in the region of 5.7 inches and above. There will, of course, be concerns over battery life as that barmy 2K display will no doubt be a power hungry component. In terms of other specs the Xplay3S is set to sport a punchy 2.3GHz quad-core processor and dual-band LTE for superfast network speeds - although it's unlikely to ever make it out of Asia. While we may never get our hands on the Xplay3S, its introduction signals a new era for the mobile market and it's safe to assume the big hitters will probably follow suit will similar displays on their handsets next year.